Here comes a three tier cake made of chocolate base and decorated with rich and colorful fondant. It also depicts the beauty of the Disney Princess in a sweet way. 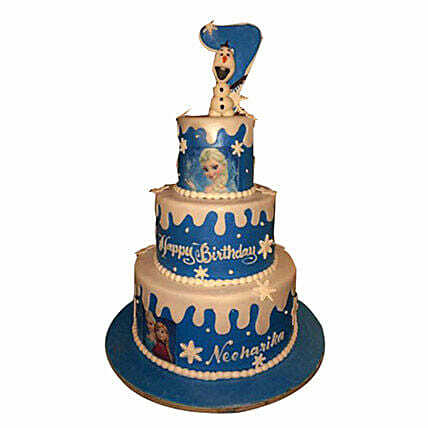 Bring in this cake home and spend the birthday moment of your cute little daughter in a massive way.